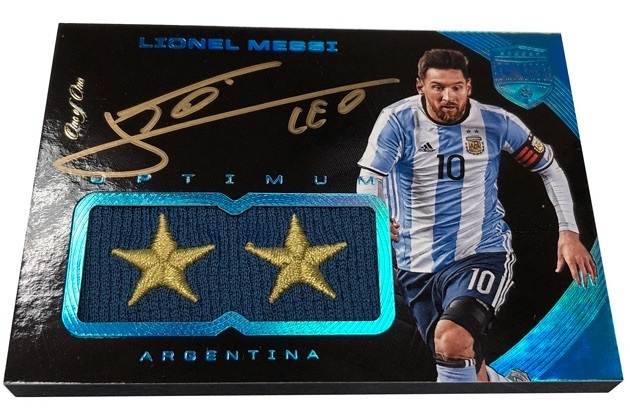 Pushing the super-premium barrier even higher for soccer fans, 2018 Panini Eminence Soccer debuts with an impressive lineup of star signatures. The expensive product is conveniently timed to coincide with the summer excitement surrounding the 2018 FIFA World Cup. While each hand-packed box contains at least 11 autographs among the 12 total cards, collectors can one patch autograph or stud autograph and a one-of-one card per box. There are also hot boxes that have as many as 15 cards, which include at least 12 autographs. These average roughly 1:2 boxes. Featuring on-card signatures and premium additions like real silver, gold, platinum and diamonds, plus quality patches, 2018 Panini Eminence Soccer is a true luxury release. Doubling down on the excitement, Passing the Torch and Team Tandems cards are hard-signed booklets. In addition, there are team-based four-player and six-player autograph relic booklets, as well as the new Octet Signature Booklets. These use sticker autographs. 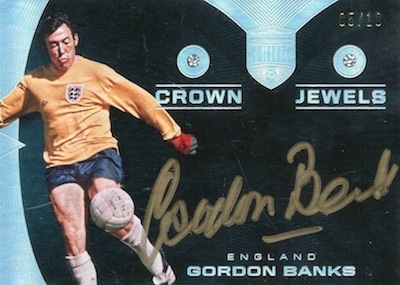 While many current and former stars have autographs across the product, with many first-time signers, there are also limited Cut Signatures for David Beckham, Gerd Müller, George Best, Johan Cruyff, and others. 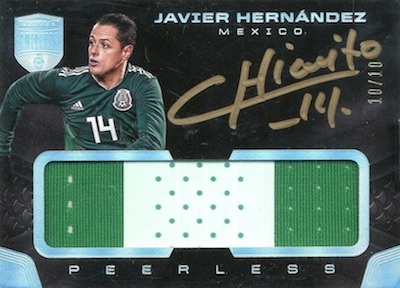 Offering some guarantees to those busting boxes, collectors can count on specific box-hit autograph groups in the 2018 Panini Eminence Soccer checklist. Every box has one player autograph from each group below. 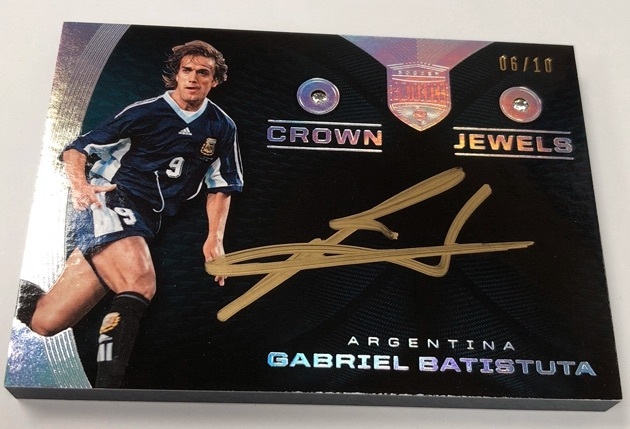 Although most of the cards are signed, 2018 Panini Eminence Soccer has several options that highlight something else. That includes Etched in History and Living Legends cards embedded with one troy ounce of silver or gold, Massive Materials with a jumbo swatch, and Team Colors with a trio of authentic diamonds. A more detailed look at the many 2018 Panini Eminence Soccer mock-up cards can be seen in the online solicitation for the product. MESUT OZIL - 2018 EMINENCE Soccer 'PEERLESS' 3-Color PATCH AUTO #9 9 - Stunning! Shop 2018 Panini Eminence Soccer cards on eBay. 61 cards. Serial numbered #/10. PARALLEL CARDS: Gold #/5, Platinum 1/1 (No Buffon*). 24 cards. Serial numbered #/10. PARALLEL CARDS: Gold #/5, Platinum 1/1 (No Campos*). 45 cards. Serial numbered #/10. 28 cards. Serial numbered #/10. 25 cards. Serial numbered #/10. PARALLEL CARDS: Gold #/5, Platinum 1/1 (No Neuer*). 34 cards. Serial numbered 1/1. PARALLEL CARDS: Gold #/5 (Robben #/2*), Platinum 1/1. 63 cards. Serial numbered #/10. 31 cards. Serial numbered #/10. 41 cards. Serial numbered #/10. 12 cards. Serial numbered #/10. View the full 2018 Panini Eminence Soccer checklist spreadsheet.